This floral-inspired two-tone engagement setting is from the Verragio Couture collection. A brand-exclusive floral halo and split shank diamond band will showcase your round brilliant center stone. A profile accented with a bezel-set diamond beneath the center gem also includes diamonds and French beading. 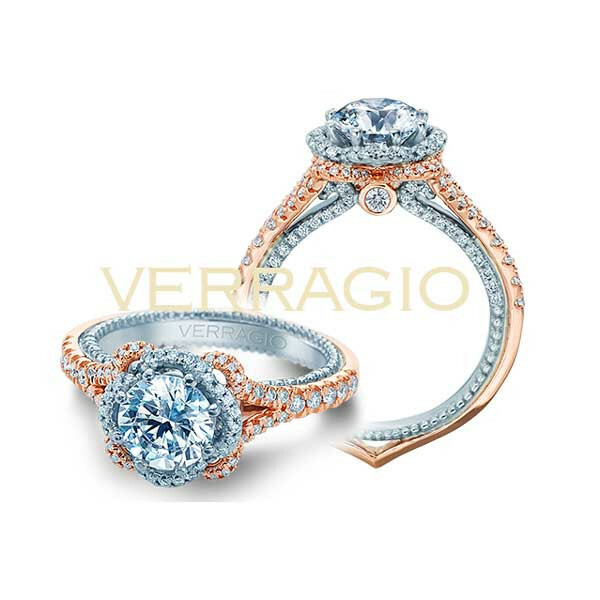 This Verragio mounting will make an impressive engagement ring!